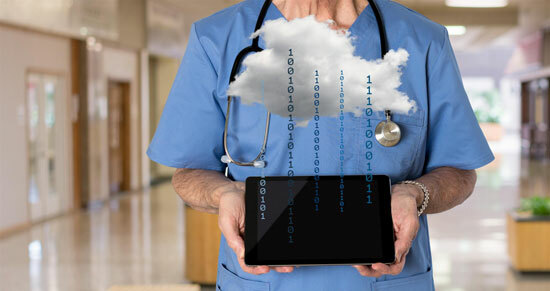 The use of cloud networks in healthcare settings is crossing the threshold from cautious consideration to widespread adoption, which is contributing to strong growth as the global market is forecasts to reach $35.0 billion in 2022 at a compound annual growth rate (CAGR) of 11.6% from 2017-2022. At a live BCC Research webinar on February 8, 2018, BCC Research’s Senior Editor Michael Sullivan gave a detailed overview of his recent report Healthcare Cloud Computing: Global Markets to 2022, which addressed the market’s potential despite potential growth inhibitors, such as cost of implantation and security concerns. Despite these inhibitors, Sullivan suggests that three factors are increasingly convincing healthcare systems to adopt cloud technology: cost pressures, maturing technology and the regulatory environment. Digitization has profoundly impacted healthcare, and the requirement for electronic health records (EHRs) and electronic health record systems only continues to grow. However, this also means healthcare systems are looking for more affordable data storage solutions. Healthcare organizations are accelerating cloud adoption due to economic and regulatory drivers. The tradeoff between security and complexity and lowering costs is the main challenge. Cloud providers are stepping in to resolve these issues, but solutions are often at a premium. Cloud solutions have the potential to resolve interoperability challenges. Aside from being more affordable, the cloud also breaks down interdepartmental barriers, providing easier access to patient data across departmental and organizational silos. This, until recently, has come at a high cost, as data records have been compromised and as cloud providers have not always implemented the appropriate safeguards for sensitive patient data. In order to combat this, the U.S. Department of Health and Human Services business now includes HIPPA provisions for cloud providers. Cloud providers are now offer HIPAA compliant solutions that hold them responsible for keeping patient records private along with restricting unauthorized use. According to Sullivan, this has been a big step in convincing more organizations to enroll in cloud programs and also for cloud providers to provide secure solutions. “As a cloud provider, if you can add value by a specialty or custom offer, such as managing the data in a HIPPA compliant fashion, then they can charge a premium for the service and gain more revenue,” he said. A recording of this webinar is available for Members to access in the library. For more information on the global market for healthcare cloud computing, download a free overview of Michael Sullivan’s report.